Buyers of real estate in California routinely buy a policy of title insurance. This insurance is triggered when there is a claim or lien against the property which the title company did not initially identify and point out to the buyer in the Preliminary Report. The Preliminary Report is a report prepared by a title company before issuing a title insurance policy, indicating the conditions under which the insurance company will issue title insurance. Buyers often have misunderstandings about the preliminary report and how it should be looked at, and may wish to consult a Sacramento real estate attorney for assistance. Often people incorrectly view the Prelim as a contract guaranteeing that the title is in such a condition. But that is not the case, as was recently made clear in a Federal Court decision following California law in which alota money was at stake. 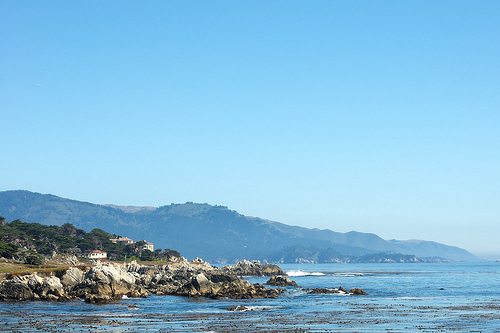 In Feduniak v. Old Republic National Title Company (2014 WL 6603253), the plaintiffs bought a $13 million dollar home on 17 mile drive in Pebble Beach. They bought title insurance from Old Republic title Company. 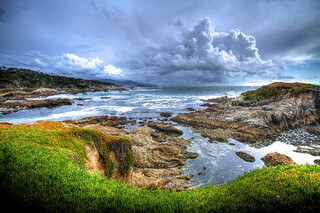 The title company missed something – namely, an easement in favor of the California Costal Commission. The easement required that at least 86% of the property be maintained as native dune habitat. At the time the property was purchased, it contained a golf course, violating the native dune requirement. Old Republic Title Company missed the easement; it was not listed as an exception to the title policy. The owner filed a claim with Old Republic. The title company wanted to hire an appraiser to determine the diminishment in value of the property due to the easement, but the owners had them negotiate with the Coastal Commission instead, to remove the easement. The negotiations were unsuccessful, other than to tip off the Coastal Commission that the easement was being violated. The Commission went after the owners, and Old Republic defended them. The Commission issued a cease & desist order, requiring them to submit a fix-it plan. They went back & forth on plans, and the commission filed suit for violation of the Cease & Desist order. They eventually agreed on a rehab plan, but the Commission did not dismiss the suit- it went to trial for over $25 million in penalties, exemplary damages, attorney fees and costs. The owners then sued the title company. The owners claimed that the preliminary report and insurance policy were a contract which was breached by the failure to discover the easement. However, under California law, a preliminary title report is not, a representation as to the condition of title to real property, but is a statement of the terms and conditions upon which the issuer is willing to issue its title policy. The policy also provides that claims of loss whether or not based on negligence, and which arises out of the status of the title to the property covered by the policy, are be restricted to this policy. Thus, there is no claim for breach of contract. The owners claimed that the title company should pay their defense costs in the action in which the Commission sued for violation of the cease and desist order. Old republic had rejected this claim as it had no duty to defend this action. Old Republic pointed to paragraph 4(a) of the Policy, which is set out in full below. It provides that the insurer will provide a defense to any claim which alleges a claim, lien, or defect in the title to the property. But the Coastal Commission action sought civil penalties for the owners’ failure to rehabilitate the property; they instead continued to water and maintain the golf course. This was not a claim, lien, or defect in the title. This conduct arose after issuance of the policy, and clearly was not covered. I guess the owners really wanted a golf course on their property, as the matter got convoluted in their efforts to provide off-site mitigation while maintaining the golf course. This route lasted a couple of years, but the Coastal Commission finally got fed up. 4. Defense and Prosecution of Action; Duty of Insured Claimant to Cooperate. (a) Upon written request by an insured and subject to the options contained in Section 6 of these Conditions and Stipulations, the Company, at its own cost and without unreasonable delay, shall provide for the defense of such insured in litigation in which any third party asserts a claim adverse to the title or interest as insured, but only as to those stated causes of action alleging a defect, lien or encumbrance or other matter insured against by this policy. The Company shall have the right to select counsel of its choice (subject to the right of such insured to object for reasonable cause) to represent the insured as to those stated causes of action and shall not be liable for and will not pay the fees of any other counsel. The Company will not pay any fees, costs or expenses incurred by an insured in the defense of those causes of action which allege matters not insured against by this policy.